Hardworking community organisations in the Toowoomba North Electorate are set for a New Year funding treat as they receive their share of funding in the latest round of State Government Community Grants. 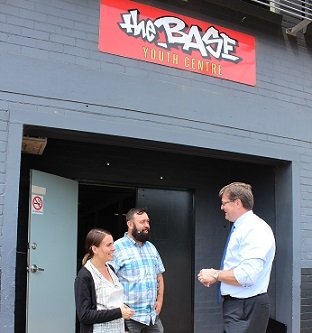 Member for Toowoomba North, Trevor Watts said the grants were a financial injection many groups could not afford to miss out on and allowed dedicated volunteers to focus on continuing their good work or providing better facilities and equipment. Mr Watts said the quarterly grants allowed profits from gambling to be invested back into grassroots services and facilities that benefited people from all walks of life in the Toowoomba North community. “You can’t put a price on what these grants mean for the people involved, the communities they serve and the difference it will make to the lives of everyday people,” he said. For more information on the grants, please visit www.olgr.qld.gov.au and click on ‘Gambling Community Benefit Fund’.